LAB SERIES SKINCARE FOR MEN PRO LS All-In-One Face Cleansing Gel 150ml is a daily foaming cleansing gel for the face and beard. The face wash uses cleansing enzymes to work deep down, without disturbing the skin's pH or stripping moisture from the skin. The foaming cleansing gel removes dead skin cells and impurities, as well as deeply purifying pores to re-energise the complexion. Crafted with nourishing agents that condition the skin, the LAB SERIES SKINCARE FOR MEN PRO LS All-In-One Face Cleansing Gel will leave skin feeling refreshed and revitalised. Skin Type: All Skin Types, Normal Skin. Cleanser Type: Foaming Facial Gel, Daily Face Wash. 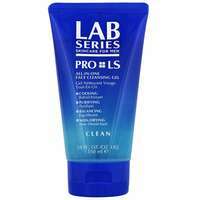 LAB SERIES SKINCARE FOR MEN PRO LS All-In-One Face Cleansing Gel 150ml was found on 6 websites and was price compared using EAN: 0022548380406. 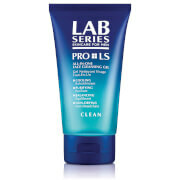 The cheapest LAB SERIES SKINCARE FOR MEN PRO LS All-In-One Face Cleansing Gel 150ml is shown as the main item, prices range from £11.90 to £14.00, excluding delivery. Price comparison based on price and delivery charges, with any valid discount codes being applied, is shown in the table above. Prices and information correct at the time of publication.